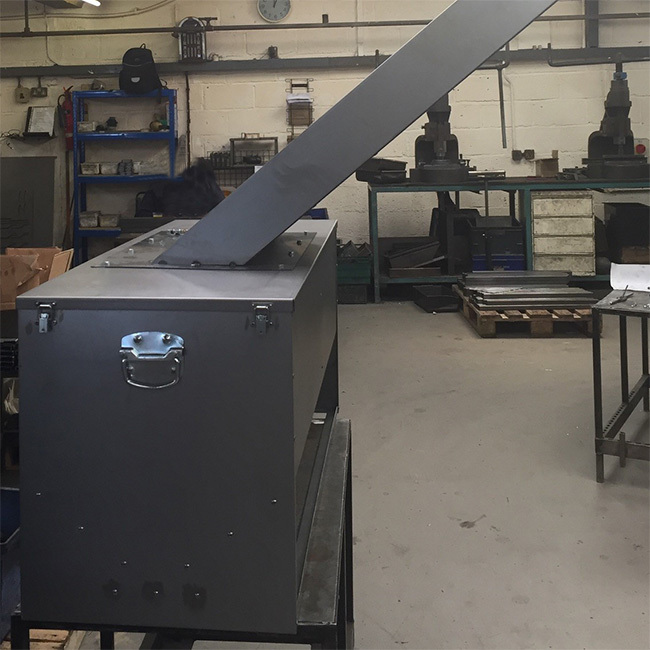 Designed with and for gamekeepers, Dymond Engineering produces a new standard in galvanised feeders which solve all the problems associated with most feeders on the market. Based in Barnstaple, on the edge of Exmoor, Dymond Engineering is close to a number of shooting estates. Back in 2002 we got into discussion with the owners of the Spreadcombe Shoot about the inadequacies of the bird feeders that were available to them. The more we listened, and understood, the more convinced we became that we could come up with something much better. The gamekeepers complained that their current units did not protect the feed from the severe weather conditions experienced in these parts, particularly the wind and rain. Nor did they prevent the further loss of feed to pests and livestock. Not only was this wastage expensive but these problems meant the gamekeepers had to spend a lot of valuable time checking and refilling them. And last but not least the feeders often fell apart and needed replacing frequently. Armed with this information, and working closely with gamekeepers, we set about designing and manufacturing a game bird feeder that would overcome all of these problems. The units we finally produced have proved incredibly popular for the following reasons. Firstly, made from galvanised steel, they are very robust and durable, doing a great job season after season and paying for themselves many times over. Whilst the design and manufacture has evolved over the years, the original units are still going strong after 16 years exposed to the elements on the Spreadcombe Estate. “These are excellent feeders which we have been using for a number of years. They have proved to be stock proof and also keep the feed dry in wet and misty conditions“. A water drip keeps the feed dry in wet weather; restrictor bars keep out deer and livestock; there are no plastic parts to attract pests and vermin, and they will not be blown over. All this means feed is NOT spoilt or lost, resulting in big savings on the cost of feed. 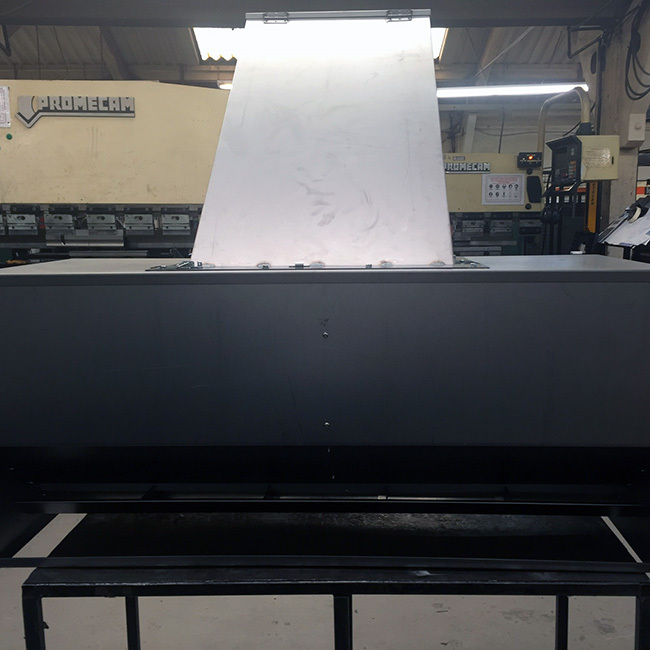 The 60 kilo capacity also saves time on refilling while a central baffle plate ensures even feed distribution on sloping ground. “This season we have started using the Dymond Engineering Partridge Feeders. They are well built weighing some 25kg empty, thus not blowing around. They are 100% water tight, suitable for the Exmoor wind and rain. Holding approximately 60kg of compound pelleted feed, they enable keepers to fill only in favourable weather, say on a twice a week basis. NO wet pellets clogging feeders at all.” Gareth Clark, Headkeeper of Buttery Sporting, Exmoor. The design also provides flexibility. Restrictors on the partridge feeder are removable so it can be used for pheasants as well, whilst optional stock restrictor bars will keep out deer and livestock. What’s more, the weather guards allow the structure to provide shelter for the birds when conditions are really harsh. Finally, the units are quick and easy to move and fill. One happy customer has told us that the partridge feeders pay for themselves within 4 years simply by keeping pheasants away from the more expensive partridge feed, without considering all the other cost-saving benefits. Following this success we were asked to develop a unit which would help breeders and shooting estates to feed poults in their indoor pens with greater efficiency and more regard to the welfare of the young birds. Game poults are solitary outdoor birds – indoor rearing, surrounded by others, is not their natural environment. This can lead to various forms of unnatural behaviour, especially when it comes to feeding. Existing feeders were less than ideal because they required a number of people to enter pens and fill up each unit individually. This disrupted the poults, causing distress and proving costly. We therefore set about designing and producing a feeder that was not only better for the welfare of the birds but less labour intensive and more cost efficient. Success depended on overcoming a number of awkward challenges. Firstly, we had to devise a way that the unit could be filled from outside by one person loading a large number of pens. It was particularly important to design a mechanism for ensuring an even distribution of feed so that all the poults had easy access and there was minimal wastage. This mechanism also had to be weather and water proof, yet easy, quick and accessible for one person to operate whilst handling 100kg feed bags. Finally, it had to discourage vermin from gaining access and meet rigorous hygiene standards. The engineering and production team at Dymond developed a feed conveyancing system that ran from the outside of the building into the feeders. It incorporated rain channels and accessible covers to ensure the feed remained dry and weather proof. They also devised deflector shoots for even distribution within the feeder and also created restrictors to prevent the poults and vermin from getting inside the feeders. Then they made sure the external end of the shoot was at an accessible height for ease of operation, taking account of ergonomic and safe operating requirements. We have also introduced a new mini-feeder which is half the size of our standard partridge and pheasant feeders. These are suitable for smaller holdings and with a total feed area of 1 metre they hold half the amount of pellets (30kg). Otherwise they have all the benefits of the standard feeders in terms of being long-lasting, robust, weather proof, and pest-proof, all of which prevent the loss and waste of feed and the continual replacement of feeders. If you own a shoot, breed game birds or are a keeper we hope you found this case study interesting. For more information on our various high quality galvanised feeders then please get in touch.